"We should have a basic way to trace an ingredient from farm to fork," CoPIRG Director Danny Katz told Denver7 News. "We want to know if there's a problem with an ingredient at any step of the process, so we can not only pull that ingredient, but also pull all the products that that ingredient has." 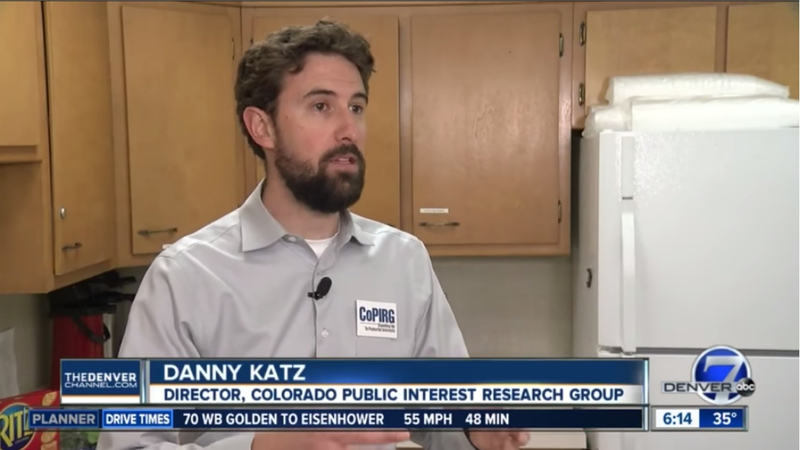 Photo Caption: CoPIRG Director Danny Katz appeared on Denver7 News to announce the release of the "How Safe is Our Food?" report.